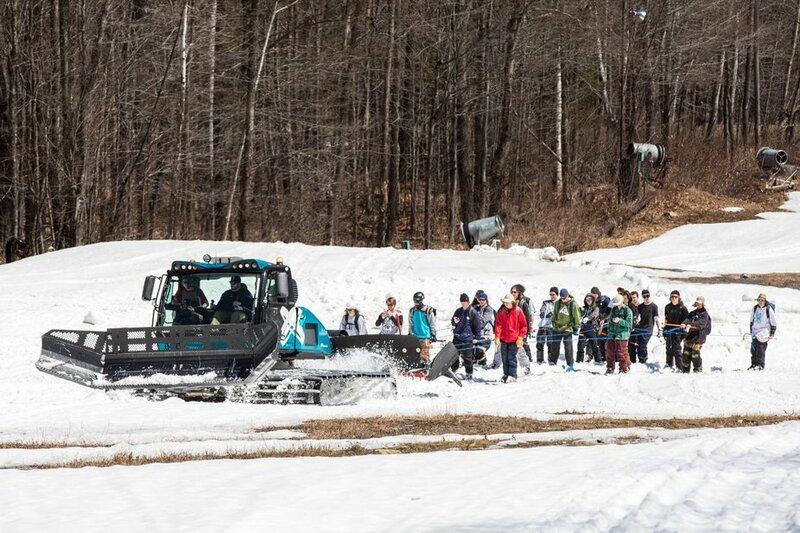 Every spring for as long as I can remember, Ski The East has invaded an east coast resort for their annual spring park shoot. 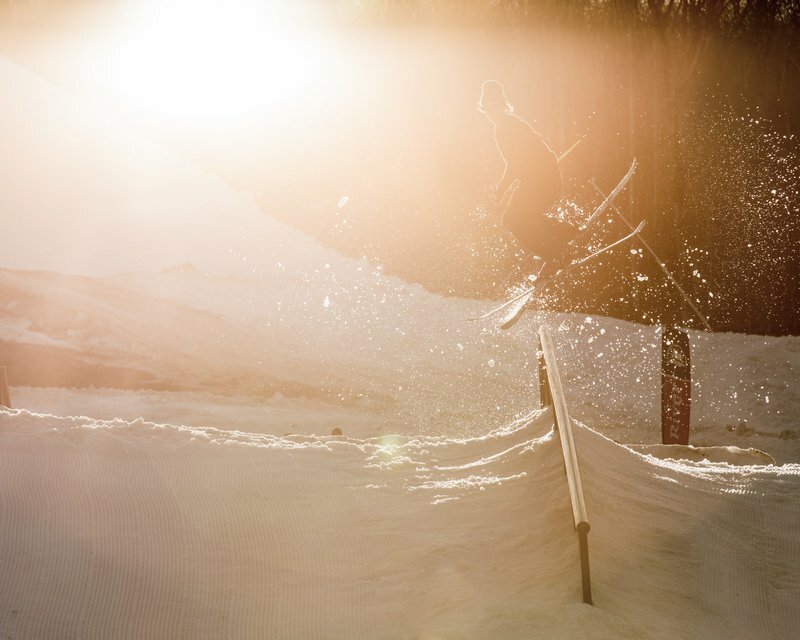 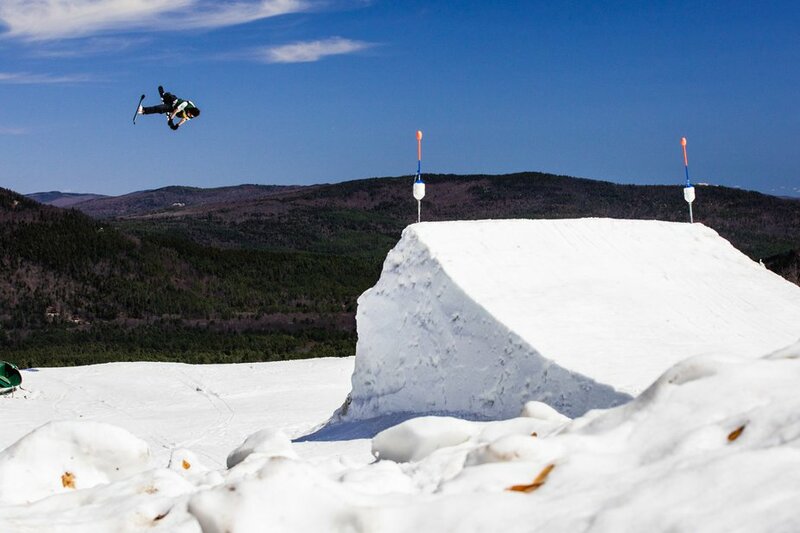 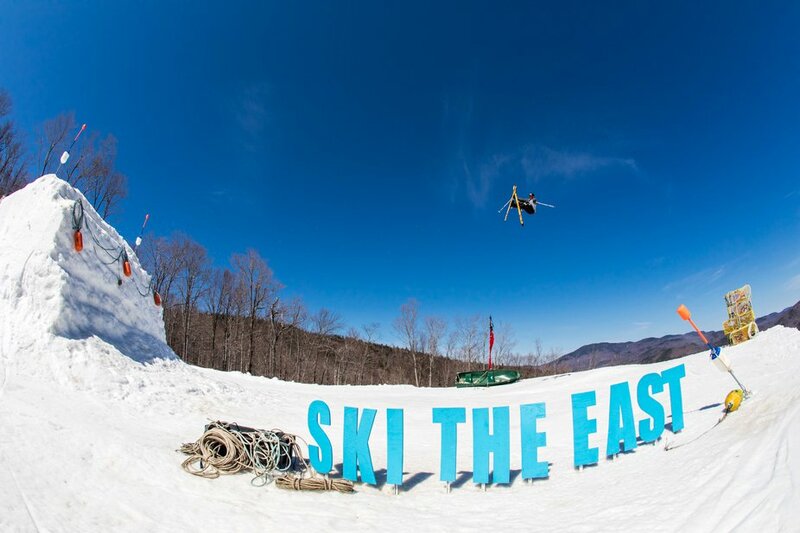 From the legendary Meathead Films "Heat Harvests" at Sunday River back in the day, to the more recent tropical themed shoots at Whiteface and Carinthia, their spring sessions are undoubtedly the premiere stage for East Coast skiers to show off their skills right here at home. 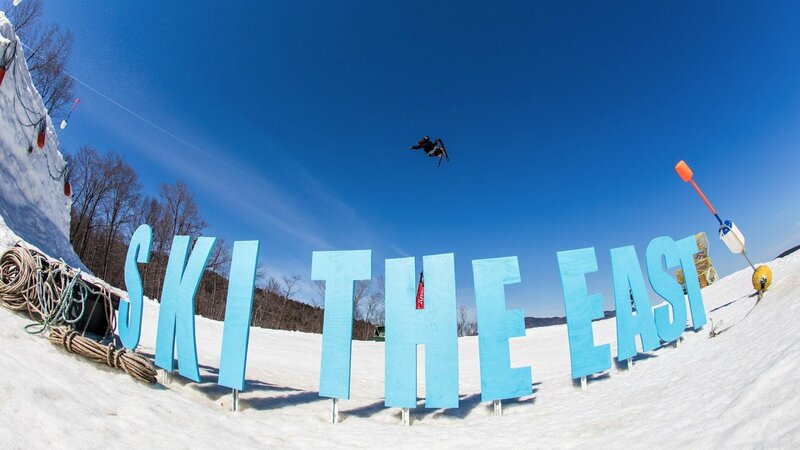 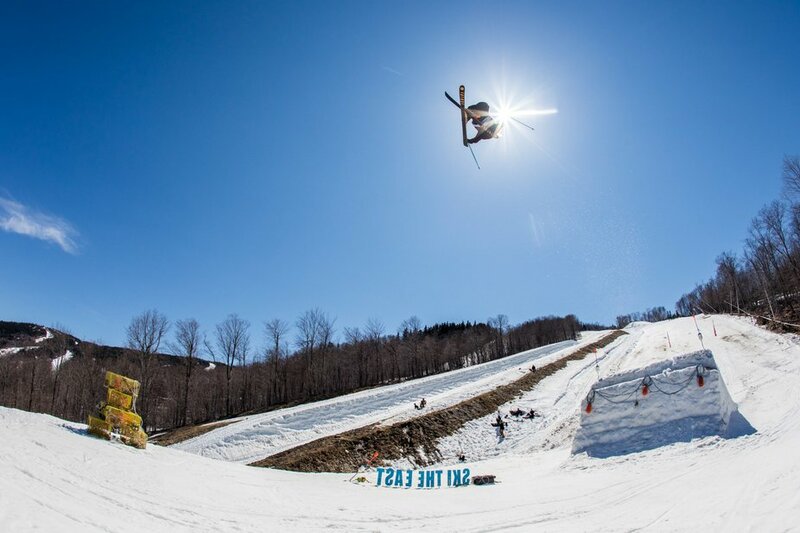 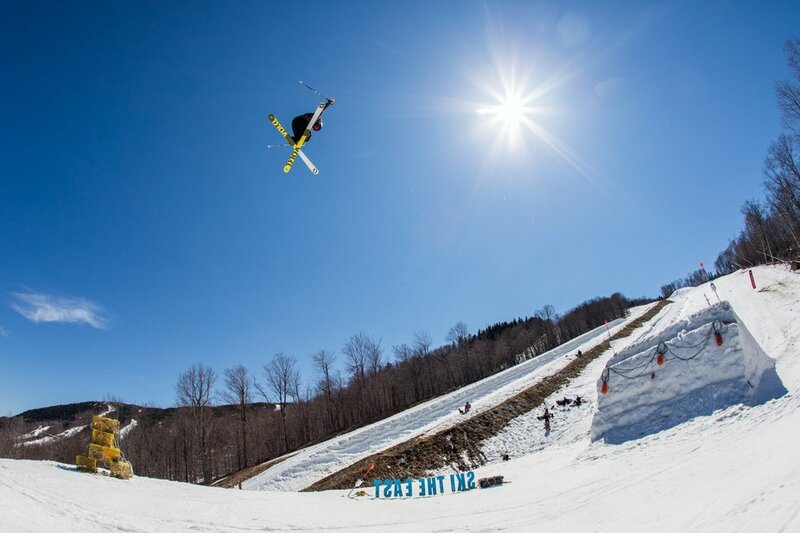 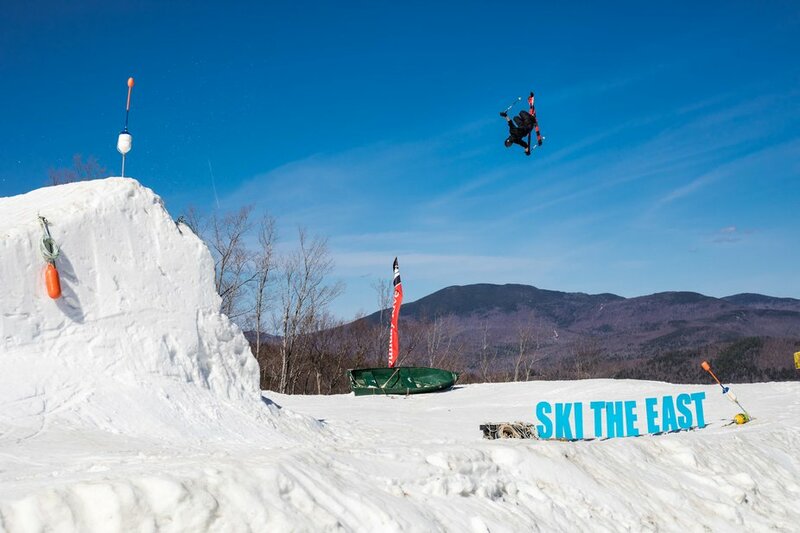 This year, Ski The East returned back to Sunday River, Maine for a nautical themed weekend of jibs, jumps, and classic east coast weather. 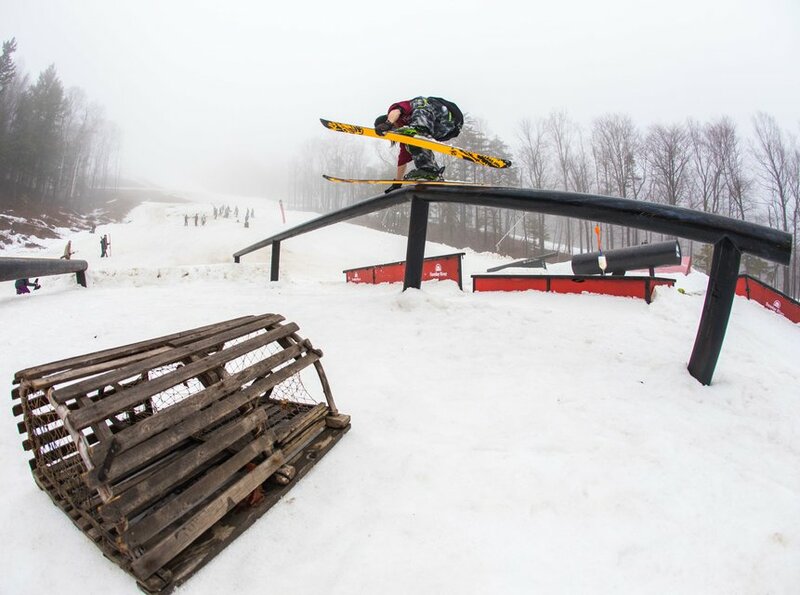 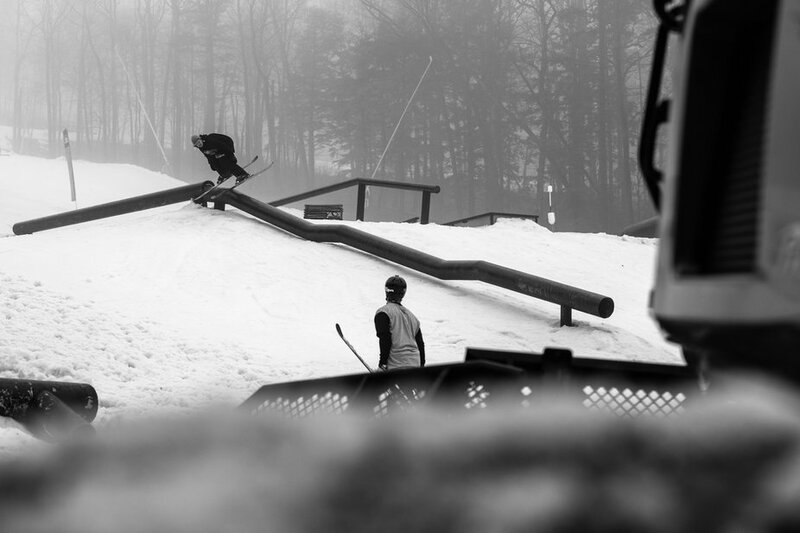 The weekend got off to a slow start with fog, drizzle, and a soggy rail session on Saturday. 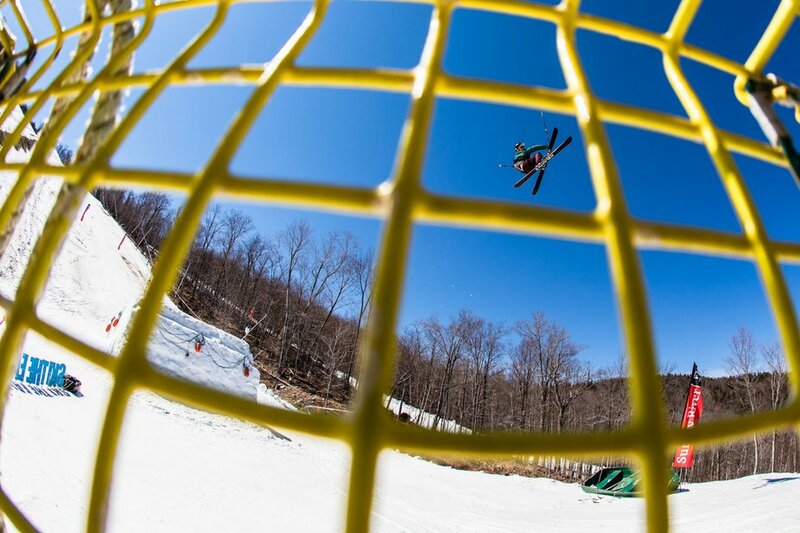 Thankfully, east coast weather changes every five minutes, and Sunday brought bluebird skies and temps in the 60's. 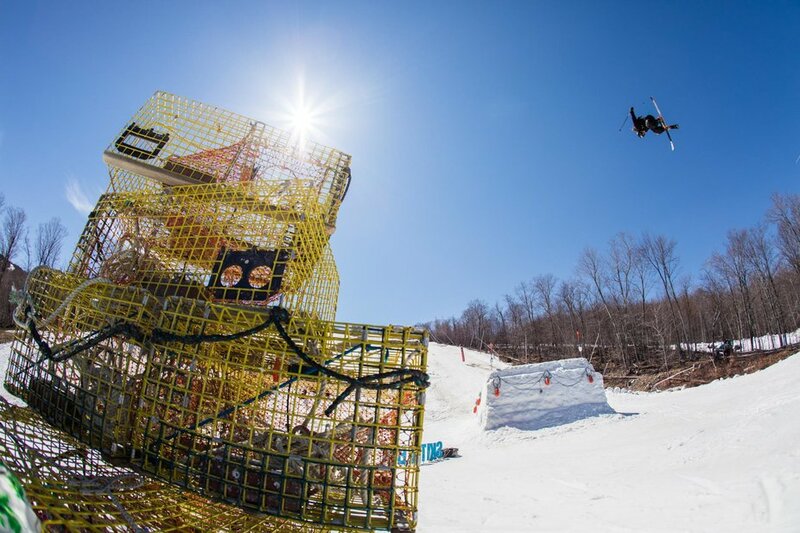 With nicer weather, an all time jump session was able to go down on the 70 foot kicker decorated with lobster buoys, traps, and even a rowboat. 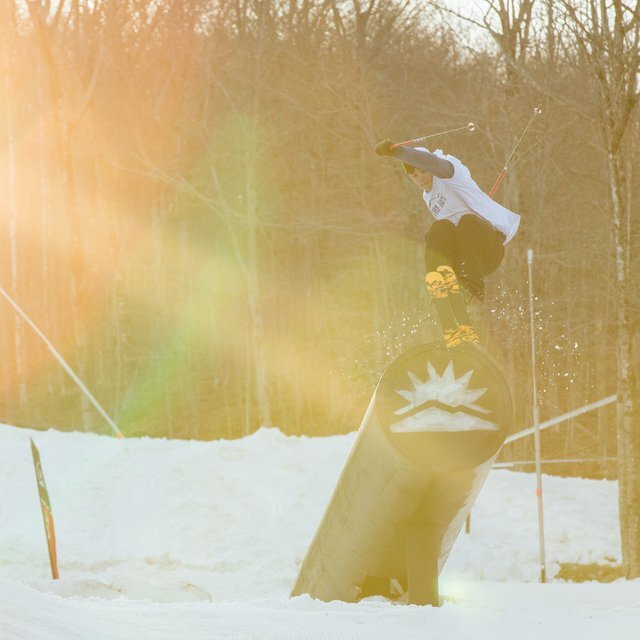 An all-star cast of some of the East Coast's hottest up-and-comers were present - Émile Bergeron, Bobby Sullivan, Sawyer Sellingham, Nicky Hartmann, Jacob Belanger, and Tyler Duncan, along with the entire Les Khroniques du Québec clan, and plenty of other talented east coast locals. 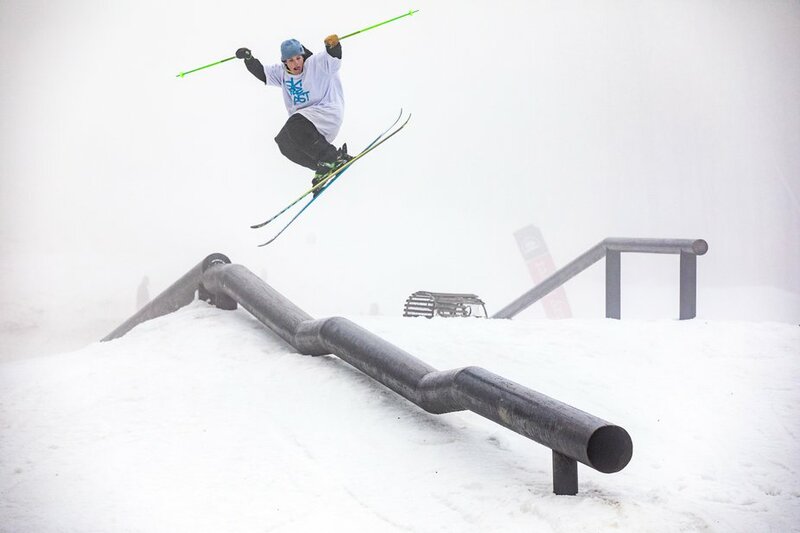 The young guns held nothing back when it came time to throw down alongside some of the bigger names, with a highlight being 16 year old Grace Henderson from Waterville Valley, who tossed a picture perfect cork seven blunt that dropped several jaws among the spectators. 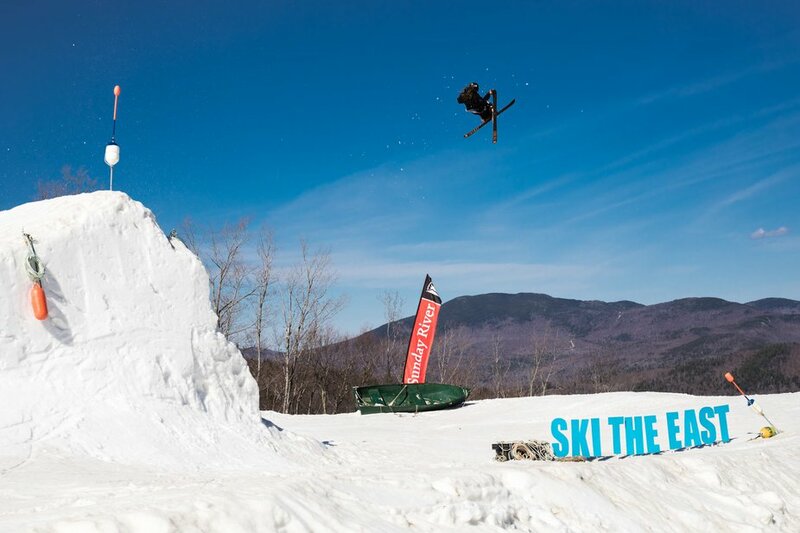 Be sure to keep your eyes peeled for Ski The East's edit as part of their Spectral series, dropping this fall!